Recently a client asked if there was a way to send pictures to SharePoint from a cell phone. The company was running a scavenger hunt, and they wanted all of the fun photos to be available on the portal. The answer is yes, and in fact, there are a couple of ways to do it. 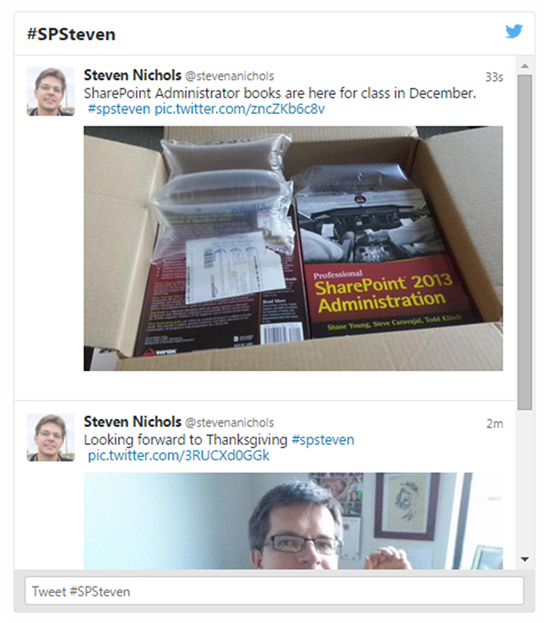 If you can email from your phone, you can send a picture to SharePoint. In SharePoint on premise, libraries and lists can be mail enabled to accept and publish emails. Your site administrator will need to set that up. Unfortunately, Office 365 does not allow this functionality. Once your site can accept emails, you will need to mail enable the specific library. First, create a Picture Library on your site (Site Settings / Add an App / Picture Library). Name it something, and then go into the Picture Library’s settings. Under Communications, you should have two options- Incoming e-mail settings and RSS settings. Click on Incoming e-mail. Select “Yes” for “Allow this picture library to receive e-mail?” and type an email address below. Also make sure that “Save all attachments in root folder” is selected. The rest of the default settings are fine. Click OK at the bottom. Try emailing a picture from your phone to the email address you just entered. After a few moments, it should appear in the library. To make it appear as a slide show, simply select that view when you add the web part. A custom Twitter widget can also create a custom published list of photos. Go to the setting of your Twitter account and choose widget on the left. 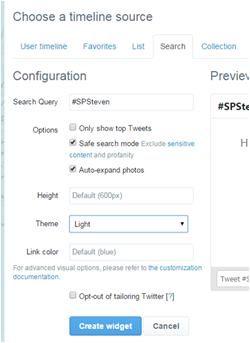 Select the Search tab for the timeline source and enter a hashtag that no one else uses. I chose #SPSteven for this example. Click Create Widget at the bottom. Twitter will create the embedding code you need. 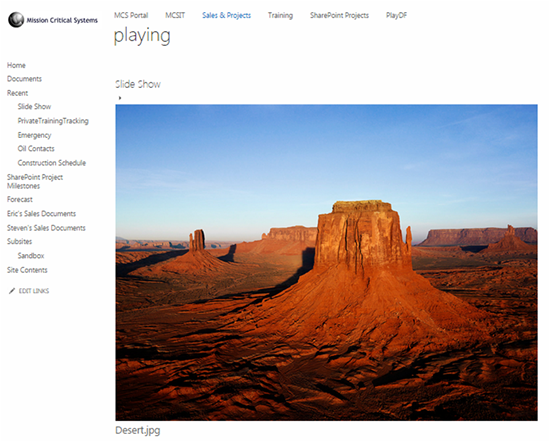 Now navigate to the page on your SharePoint site that will house your photos. Under the insert tab, choose Embed Code. Paste your twitter Widget snippet. Try tweeting a picture to your widget using that hashtag. It should look something like this.